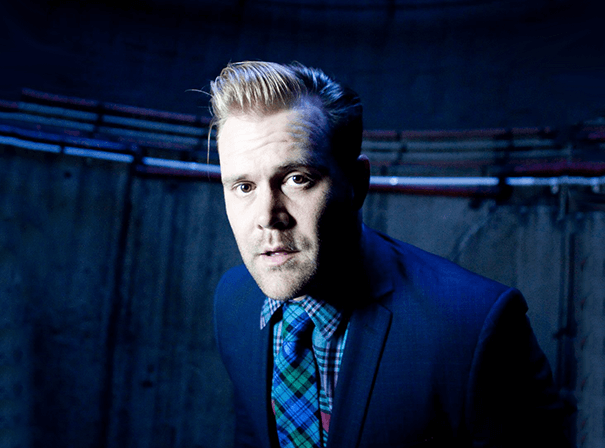 Daniel Bedingfield is one of the great pop stars of the last 15 years. New Zealand born, British raised Daniel’s pop wizardry earned him a BRIT Award, six U.K. Top 10 singles and four million in album sales from 2001 to 2004. Bedingfield’s new material, first showcased in 2012, moves adroitly between dance-floor bangers and R&B-spiked rock, between freak-funk and chilling piano ballads, between effects-heavy electro and sunny island reggae. All brim with his distinctive melodic sense and arching romanticism. In 2013, the video for the first single from the EP, “Secret Fear” (his directorial debut) earned Daniel accolades for best video from the Miami Short Film Fest, The Vegas Cine Fest, and the Van Gogh Film Fest, as well as a nomination for “best of the fest” at SXSW. In the video, Daniel highlights the inbuilt conflict, the intrinsic clash of natural archetypes; the marked contrast of dark/light skin tones, a rotating glass coffin filled with black water and fire, claustrophobia vs. the need for intimacy and parallel themes. In 2014, Daniel returned to the top of the UK charts with the #1 debut of Second City’s “I Wanna Feel,” a song that Daniel co-wrote. He is currently writing songs all over the world.